Not to be confused with Huntington Beach Public Library or Huntington Free Library and Reading Room. "Huntington Botanical Gardens" redirects here. 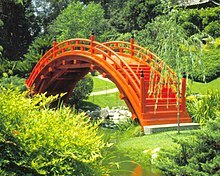 For the botanical garden in Huntington, Indiana, see Huntington University (United States). The Huntington Library, Art Collections and Botanical Gardens, colloquially known as The Huntington, is a collections-based educational and research institution established by Henry E. Huntington (1850–1927) and located in San Marino, California, United States. In addition to the library, the institution houses an extensive art collection with a focus on 18th- and 19th-century European art and 17th- to mid-20th-century American art. The property also includes approximately 120 acres of specialized botanical landscaped gardens, most notably the "Japanese Garden", the "Desert Garden", and the "Chinese Garden" (Liu Fang Yuan). As a landowner, Henry Edwards Huntington (1850–1927) played a major role in the growth of Southern California. Huntington was born in 1850, in Oneonta, New York, and was the nephew and heir of Collis P. Huntington (1821–1900), one of the famous "Big Four" railroad tycoons of 19th century California history. In 1892, Huntington relocated to San Francisco with his first wife, Mary Alice Prentice, as well as their four children. He divorced Mary Alice Prentice in 1906; in 1913, he married his uncle's widow, Arabella Huntington (1851–1924), relocating from the financial and political center of Northern California, San Francisco, to the state's newer southern major metropolis, Los Angeles. He purchased a property of more than 500 acres that was then known as the "San Marino Ranch" and went on to purchase other large tracts of land in the Pasadena and Los Angeles areas of Los Angeles County for urban and suburban development. As president of the Pacific Electric Railway Company, the regional streetcar and public transit system for the Los Angeles metropolitan area and southern California and also of the Los Angeles Railway Company, (later the Southern California Railway), he spearheaded urban and regional transportation efforts to link together far-flung communities, supporting growth of those communities as well as promoting commerce, recreation and tourism. He was one of the founders of the City of San Marino, incorporated in 1913. Huntington's interest in art was influenced in large part by his second wife, Arabella Huntington (1851–1924), and with art experts to guide him, he benefited from a post-World War I European market that was "ready to sell almost anything". Before his death in 1927, Huntington amassed "far and away the greatest group of 18th-century British portraits ever assembled by any one man". In accordance with Huntington's will, the collection, then worth $50 million, was opened to the public in 1928. On October 17, 1985, a fire erupted in an elevator shaft of the Huntington Art Gallery and destroyed Sir Joshua Reynolds's 1777 portrait of Mrs. Edwin Lascelles. After a year-long, $1 million refurbishing project, the Huntington Gallery reopened in 1986, with its artworks cleaned of soot and stains. Most of the funds for the cleanup and refurbishing of the Georgian mansion and its artworks came from donations from the Michael J. Connell Foundation, corporations and individuals. Both the Federal art-supporting establishment of the National Endowment for the Arts and the National Endowment for the Humanities gave emergency grants, the former of $17,500 to "support conservation and other related costs resulting from a serious fire at the Gallery of Art", and the latter of $30,000 to "support the restoration of several fire-damaged works of art that depict the story of Western culture." Formerly the residence of Henry E. Huntington (1850–1927) and his wife, Arabella Huntington (1850–1924), the Huntington Art Gallery opened in 1928. The library building was designed in 1920, by the southern California architect Myron Hunt in the Mediterranean Revival style. Hunt's previous commissions for Mr. and Mrs. Huntington included the Huntington's residence in San Marino in 1909, and the Huntington Hotel in 1914. The library contains a substantial collection of rare books and manuscripts, concentrated in the fields of British and American history, literature, art, and the history of science. Spanning from the 11th century to the present, the library's holdings contain 7 million items, over 400,000 rare books, and over a million photographs, prints, and other ephemera. Highlights include one of eleven vellum copies of the Gutenberg Bible known to exist, the Ellesmere manuscript of Chaucer (ca. 1410), and letters and manuscripts by George Washington, Thomas Jefferson, Benjamin Franklin, and Abraham Lincoln. It is the only library in the world with the first two quartos of Hamlet; it holds the manuscript of Benjamin Franklin's autobiography, Isaac Newton's personal copy of his Philosophiae Naturalis Principia Mathematica with annotations in Newton's own hand, the first seven drafts of Henry David Thoreau's Walden, John James Audubon's Birds of America, and first editions and manuscripts from authors such as Charles Bukowski, Jack London, Alexander Pope, William Blake, Mark Twain, and William Wordsworth. The Library's Main Exhibition Hall showcases some of the most outstanding rare books and manuscripts in the collection, while the West Hall of the Library hosts rotating exhibitions. The Dibner Hall of the History of Science is a permanent exhibition on the history of science with a focus on astronomy, natural history, medicine, and light. With the 2006 acquisition of the Burndy Library, a collection of nearly 60,000 items, the Huntington became one of the top institutions in the world for the study of the history of science and technology. Use of the collection for research is restricted to qualified scholars, generally requiring a doctoral degree or at least candidacy for the PhD, and two letters of recommendation from known scholars. Through a rigorous peer-review program, the institution awards approximately 150 grants to scholars in the fields of history, literature, art, and the history of science. The Huntington also hosts numerous scholarly events, lectures, conferences, and workshops. In September 1991, then-director William A. Moffett announced that the library's photographic archive of the Dead Sea Scrolls would be available to all qualified scholars, not just those approved by the international team of editors that had so long limited access to a chosen few. The collection consists of 3,000 photographs of all the original scrolls. Through a partnership with the University of Southern California, The Huntington has established two research centers: the USC-Huntington Early Modern Studies Institute and the Huntington-USC Institute on California and the West. The Huntington's collections are displayed in permanent installations housed in the Huntington Art Gallery and Virginia Steele Scott Gallery of American Art. Special temporary exhibitions are mounted in the MaryLou and George Boone Gallery, with smaller, focused exhibitions displayed in the Works on Paper Room in the Huntington Art Gallery and the Susan and Stephen Chandler Wing of the Scott Galleries. In addition the gallery also hosts different exhibitions of photography throughout the year including those about different social and political subjects. The European collection, consisting largely of 18th- and 19th-century British & French paintings, sculptures and decorative arts, is housed in The Huntington Art Gallery, the original Huntington residence. The permanent installation also includes selections from the Arabella D. Huntington Memorial Art Collection, which contains Italian and Northern Renaissance paintings and a spectacular collection of 18th-century French tapestries, porcelain, and furniture. Some of the best known works in the European collection include The Blue Boy by Thomas Gainsborough, Pinkie by Thomas Lawrence, and Madonna and Child by Rogier van der Weyden. Complementing the European collections is the Huntington's American art holdings, a collection of paintings, prints, drawings, sculptures, and photographs dating from the 17th to the mid-20th century. The institution did not begin collecting American art until 1979, when it received a gift of 50 paintings from the Virginia Steele Scott Foundation. Consequently, The Virginia Steele Scott Gallery of American Art was established in 1984. In 2009, the Virginia Steele Scott Galleries were expanded, refurbished, and reinstalled. The new showcase, a $1.6 million project designed to give the Huntington's growing American art collection more space and visibility, combines the original, 1984 American gallery with the Lois and Robert F. Erburu Gallery, a modern classical addition designed by Los Angeles architect Frederick Fisher. Highlights among the American art collections include Breakfast in Bed by Mary Cassatt, The Long Leg by Edward Hopper, Small Crushed Campbell's Soup Can (Beef Noodle) by Andy Warhol, and Global Loft (Spread) by Robert Rauschenberg. As of 2014, the collection numbers some 12,000 works, ninety percent of them drawings, photographs and prints. In 2014, the library acquired the Millard Sheets mural Southern California landscape (1934), the dining room wall painting originally painted for homeowners Fred H. and Bessie Ranke in the Hollywood Hills of Los Angeles. In 1999, the Huntington acquired the collection of materials relating to Arts and Crafts artist and designer William Morris amassed by Sanford and Helen Berger, comprising stained glass, wallpaper, textiles, embroidery, drawings, ceramics, more than 2,000 books, original woodblock prints, and the complete archives of Morris's decorative arts firm Morris & Co. and its predecessor Morris, Marshall, Faulkner & Co. These materials formed the foundation for the 2002 exhibit "William Morris: Creating the Useful and the Beautiful". In 2005, actor Steve Martin gave $1 million to the Huntington to support exhibitions and acquisitions of American art, with three-quarters of the money to be spent on exhibitions and the rest on purchases of artworks. In 2009, Andy Warhol's painting Small Crushed Campbell's Soup Can (Beef Noodle) (1962) as well as group of the artist's Brillo Boxes were donated by the estate of Robert Shapazian, the founding director of Gagosian Gallery in Beverly Hills. In 2011, a $1.75 million acquisition fund for post-1945 American art was established by unidentified patrons in honor of the late Shapazian. The first purchase from the fund was the painting Global Loft (Spread) (1979) by Robert Rauschenberg. In 2012, the museum acquired its first major work by an African-American artist when it purchased a 22-foot-long carved redwood panel from 1937 by sculptor Sargent Claude Johnson. The Huntington's botanical gardens cover 120 acres (49 ha) and showcase plants from around the world. The gardens are divided into more than a dozen themes, including the Australian Garden, Camellia Collection, Children's Garden, Desert Garden, Herb Garden, Japanese Garden, Lily Ponds, North Vista, Palm Garden, Rose Garden, the Shakespeare Garden, Subtropical and Jungle Garden, and the Chinese Garden (Liu Fang Yuan 流芳園 or the Garden of Flowing Fragrance). The Rose Hills Foundation Conservatory for Botanical Science has a large tropical plant collection, as well as a carnivorous plants wing. The Huntington has a program to protect and propagate endangered plant species. In 1999, 2002, 2009, 2010, 2014, and 2018, specimens of Amorphophallus titanum, or the odiferous "corpse flower", bloomed at the facility. The Camellia Collection, recognized as an International Camellia Garden of Excellence, includes nearly eighty different camellia species and some 1,200 cultivated varieties, many of them rare and historic. The Rose Garden contains approximately 1,200 cultivars (4,000 individual plants) arranged historically to trace the development of roses from ancient to modern times. A Chinese garden, the largest outside of China, was dedicated on February 26, 2008 after artisans from Suzhou, China spent some six months at Huntington to construct the first phase of the newest facility. On 12 acres at the northwest corner of the Huntington, the garden features man-made lakes ("Pond of Reflected Greenery" and "Lake of Reflected Fragrance") with pavilions connected by bridges. Unique Chinese names are assigned to many of the facilities in the garden, such as the tea house, known as the "Hall of the Jade Camellia". Other pavilions are the "Love for the Lotus Pavilion", "Terrace of the Jade Mirror", and "Pavilion of the Three Friends". The initial phase cost $18.3 million to build. The second phase, which includes the "Clear and Transcendent Pavilion (Qing Yue Tai 清越臺)", "Lingering Clouds Peak (Liu Yun Xiu 留雲岫)" (with a waterfall), "Waveless Boat (Bu Bo Xiao Ting 不波小艇)", "Crossing through Fragrance" bridge and the "Cloud Steps" bridge, opened on March 8, 2014. There are other pavilions, including the "Flowery Brush Studio", and structures planned for phase two. A place to display its large collections of penjing and bonsai is another project to be completed. The Desert Garden, one of the world's largest and oldest outdoor collections of cacti and other succulents, contains plants from extreme environments, many of which were acquired by Henry E. Huntington and William Hertrich (the garden curator). One of the Huntington's most botanically important gardens, the Desert Garden, brings together a plant group largely unknown and unappreciated in the beginning of the 1900s. Containing a broad category of xerophytes (aridity-adapted plants), the Desert Garden grew to preeminence and remains today among the world's finest, with more than 5,000 species. The garden was completed in 1912 and opened to the public in 1928. It features the drum or moon bridge, a large bell, the authentic ceremonial teahouse Seifu-an (the Arbor of Pure Breeze), a fully furnished Japanese house, koi-filled ponds, the Zen Garden, and the bonsai collections with hundreds of trees. The Bonsai Courts at the Huntington is the home of the Golden State Bonsai Federation Southern Collection. Another ancient Japanese art form can be found at the Harry Hirao Suiseki Court, where visitors can touch the suiseki or viewing stones. With an endowment of more than $400 million (and half a billion dollars raised between 2001 and 2013), the Huntington is among the wealthiest cultural institutions in the United States. It has undertaken major restorations and construction (including a $60 million education and visitors center opened in 2015). Each year some 1,700 scholars conduct research here and 600,000 people visit. G.I. Joe: The Rise of Cobra (2009), used during the flashback fighting scenes between ten-year-old Snake Eyes and Storm Shadow. ^ The common appellation of The Huntington may also refer to the Huntington Hospital. ^ "$50,000,000 Huntington Collection was Amassed by One Man in 17 Years". Life. 1938-01-24. p. 33. Retrieved November 24, 2011. ^ Muchnic, Suzanne (September 28, 1986). "The Huntington's Glorious Restoration". Los Angeles Times. Retrieved 16 April 2018. ^ Jurenas, Joan Bowersox, ed. (1987). 1986 Annual Report (PDF) (Report). National Endowment for the Arts. p. 103. Archived (PDF) from the original on 2017-11-28. Retrieved 2018-04-16. ^ Twenty-First Annual Report: 1986 (Report). National Endowment for the Humanities. 1987. p. 76. hdl:2027/osu.32435070039284. ISSN 8755-5492. ^ "What buildings did Myron Hunt design?". Archived from the original on 2014-02-01. Retrieved 2014-01-21. ^ Wilford, John Noble (September 22, 1991). "Monopoly Over Dead Sea Scrolls Is Ended". New York Times. Archived from the original on 2017-08-22. Retrieved 2017-02-16. ^ Wilford, John Noble (February 22, 1995). "William A. Moffett, 62, Is Dead; Opened Door to Dead Sea Scrolls". New York Times. Archived from the original on 2016-03-15. Retrieved 2017-02-16. ^ Suzanne Muchnic (May 30, 2009), American art gets a higher profile in U.S. museums Archived 2012-12-05 at the Wayback Machine Los Angeles Times. ^ Knight, Christopher (July 19, 2014). "Huntington's new gallery rooms show promise". Los Angeles Times. Archived from the original on 2014-07-20. Retrieved 2014-07-20. ^ Huntington Library; "William Morris: Creating the Useful and the Beautiful"
^ Suzanne Muchnic (February 8, 2005), Huntington gets arts endowment Archived 2012-10-16 at the Wayback Machine Los Angeles Times. ^ Pop Art Comes to The Huntington Archived 2011-10-21 at the Wayback Machine The Huntington Library, Art Collections, and Botanical Gardens. ^ Jori Finkel (June 7, 2012), Huntington buys a Robert Rauschenberg Spread painting Archived 2012-06-11 at the Wayback Machine Los Angeles Times. ^ a b Rothstein, Edward (December 20, 2013). "A Treasure House of Shifting Aspirations: 'The Library Re-Imagined,' at the Huntington". New York Times. Archived from the original on 2016-11-21. Retrieved 2017-02-16. ^ "Heathers film locations". The Worldwide Guide to Movie Locations. Archived from the original on 2013-12-15. Retrieved 14 December 2013. Hertrich, William. "The Huntington Botanical Gardens, 1905–1949 Personal Recollections of William Hertrich." Huntington Library Press. 1998. ISBN 978-0-87328-096-9. Wikimedia Commons has media related to Huntington Library, Art Collections and Botanical Gardens. "Huntington Library". C-SPAN Video Library. The Los Angeles County Museum of Art (LACMA) is an art museum located on Wilshire Boulevard in the Miracle Mile vicinity of Los Angeles. LACMA is on Museum Row, adjacent to the La Brea Tar Pits. 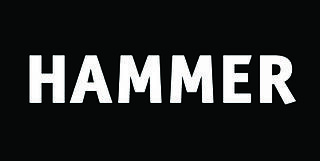 The Hammer Museum, which is affiliated with the University of California, Los Angeles, is an art museum and cultural center known for its artist-centric and progressive array of exhibitions and public programs. Founded in 1990 by the entrepreneur-industrialist Armand Hammer to house his personal art collection, the museum has since expanded its scope to become "the hippest and most culturally relevant institution in town." Particularly important among the museum's critically acclaimed exhibitions are presentations of both historically over-looked and emerging contemporary artists. The Hammer Museum also hosts over 300 programs throughout the year, from lectures, symposia, and readings to concerts and film screenings. As of February 2014, the museum's collections, exhibitions, and programs are completely free to all visitors. Descanso Gardens is a 150 acres (61 ha) botanical garden located in La Cañada Flintridge, Los Angeles County, California. The Cleveland Museum of Art (CMA) is an art museum in Cleveland, Ohio, located in the Wade Park District, in the University Circle neighborhood on the city's east side. Internationally renowned for its substantial holdings of Asian and Egyptian art, the museum houses a diverse permanent collection of more than 61,000 works of art from around the world. The museum provides general admission free to the public. With a $755 million endowment, it is the fourth-wealthiest art museum in the United States. With about 770,000 visitors annually (2018), it is one of the most visited art museums in the world. The Minneapolis Institute of Art (Mia), formerly known as the Minneapolis Institute of Arts, is a fine arts museum located in the Whittier neighborhood of Minneapolis, Minnesota, on a campus that covers nearly 8 acres (32,000 m²), formerly Morrison Park. As a major, government-funded public museum, the Institute does not charge an entrance fee, except for special exhibitions, and allows photography of its permanent collection for personal or scholarly use only. The museum receives support from the Park Board Museum Fund, levied by the Hennepin County commissioners. Additional funding is provided by corporate sponsors and museum members. 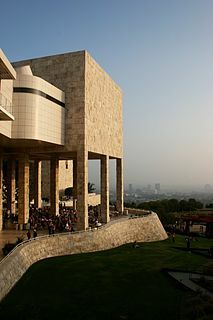 It is one of the largest art museums in the United States. The Museum of Contemporary Art San Diego, in San Diego, California, US, is an art museum focused on the collection, preservation, exhibition, and interpretation of works of art from 1950 to the present. The Samuel P. Harn Museum of Art is an art museum at the University of Florida in Gainesville, Florida. It is in the UF Cultural Plaza area in the southwest part of campus. Arabella Duval Yarrington "Belle" Huntington (c.1851–1924) was the second wife of American railway tycoon and industrialist Collis P. Huntington, and then the second wife of Henry E. Huntington. She was once known as the richest woman in America, and as the force behind the art collection that is housed at the Huntington Library. 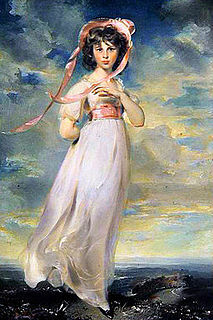 Pinkie is the traditional title for a portrait made in 1794 by Thomas Lawrence in the permanent collection of the Huntington Library at San Marino, California where it hangs opposite The Blue Boy by Thomas Gainsborough. The title now given it by the museum is Sarah Barrett Moulton: Pinkie. These two works are the centerpieces of the institute's art collection, which specialises in eighteenth-century English portraiture. The painting is an elegant depiction of Sarah Barrett Moulton, who was about eleven years old when painted. Her direct gaze and the loose, energetic brushwork give the portrait a lively immediacy. Fourteen Rembrandt paintings are held in collections in Southern California. This accumulation began with J. Paul Getty's purchase of the Portrait of Marten Looten in 1938, and is now the third-largest concentration of Rembrandt paintings in the United States. Portrait of Marten Looten is now housed at the Los Angeles County Museum of Art (LACMA). The Huntington Desert Garden is part of The Huntington Library, Art Collections and Botanical Gardens in San Marino, California. The Desert Garden is one of the world's largest and oldest collections of cacti, succulents and other desert plants, collected from throughout the world. It contains plants from extreme environments, many of which were acquired by Henry E. Huntington and William Hertrich in trips taken to several countries in North, Central and South America. One of the Huntington's most botanically important gardens, the Desert Garden brought together a group of plants largely unknown and unappreciated in the beginning of the 1900s. Containing a broad category of xerophytes, the Desert Garden grew to preeminence and remains today among the world's finest, with more than 5,000 species in the 10 acre garden. Kenneth Hayes Miller was an American painter, printmaker, and teacher. Rinaldo Cuneo, dubbed the Painter of San Francisco, was an American artist known for his landscape paintings and murals. John Fayette Frame is an American sculptor, photographer, composer and filmmaker. He has been working as an artist in California since the early 1980s. Frame has been given Grants and Awards from the National Endowment for the Arts, the J. Paul Getty Museum, and the Los Angeles County Museum of Art. He has participated in group exhibitions around the world and has had major solo exhibitions at the Los Angeles County Museum of Art, the Long Beach Museum of Art, and the Huntington Library, Art Collections, and Botanical Gardens. After five years of preparation, Part One of "The Tale of the Crippled Boy", a sweeping project incorporating sculpture, photography, installation, music and film, premiered at the Huntington Library in San Marino, California in March 2011. Doyle Lane (1925–2002) was an African-American ceramist known for his innovative, tactile glazes. His work ranged from delicate vases and ceramic sculptures to large scale clay paintings and mosaics. Lane maintained a studio in the El Sereno district of East Los Angeles. He exhibited his work at Brockman Gallery in Leimert Park (1968) and Ankrum Gallery on La Cienega Boulevard, both notable centers for African American Art in Los Angeles in the mid-twentieth century.